Hello, everyone. 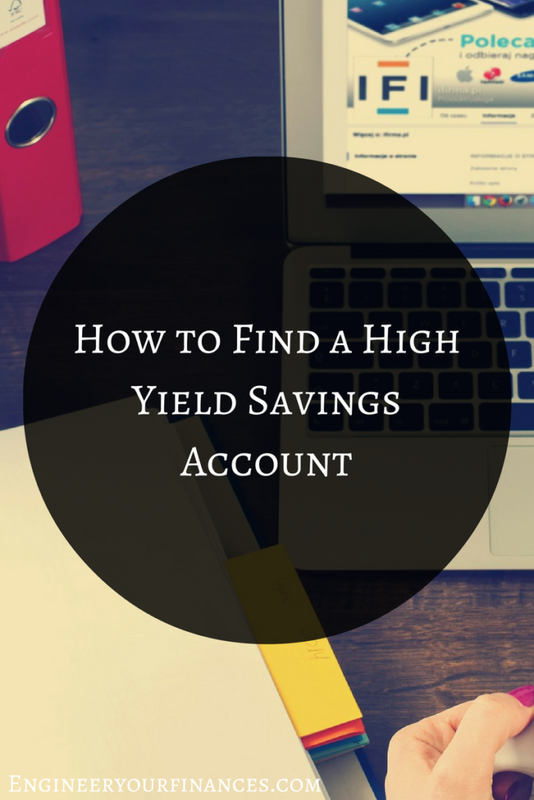 I’m sure you’ve heard of high yield savings accounts before. Do you know what they are and how actually to find one? If you’ve been asking yourself these questions, then I have the answers that you have been looking for. A high yield savings account is a deposit account made available through a brick and mortar or online bank. It pays a higher interest rate than a traditional saving account. Many people choose to look online when they are considering a high-yield savings account. Bankrate is a great place to search online. On this site, you can research various online banks and compare the interest rates. It makes locating the best rate quick and easy to do. This should be a step that you take seriously. A small difference in the rate of interest that you earn can make a difference in the amount of money your cash will earn for you over a period of time. A small boost in the interest rates can dramatically increase the amount of money that you will make. There are other things that you will want to consider when looking for a high yield interest account. One thing to consider is whether or not the bank is FDIC insured. You may not know it, but most online banks are insured. If you happen to find one that is not secured, keep searching. Having an account that is FDIC insured will add more security to your money. Something else that you should consider is the minimum amount of money that you will need to open the account. Some banks let you start with a small deposit, while others can be in the hundreds. The higher the interest rate, the higher the deposit amount will be in most cases. Customer service is also important. Online chats are helpful to a pint, but it’s nice to be able to talk to someone on the phone if you have questions about the account. Many online banks have a customer service number that offers customer support from a human. You will have the opportunity to open two different types of accounts. The two options are regular saving accounts or opening a CD. Each option has its pros and cons. You will have much more liquidity with a regular savings account. For the most part, you can get your money almost any time, you want it. It won’t earn that much interest, though. If you decide to go with a CD option, make sure that you choose one that you will be able to leave alone for the whole term. Taking your money out of it can be costly. Spending a few minutes of time researching accounts online will help you find one that is worth it. You can find a high yielding interest account if you are patient. Do you have a high-interest savings account? If so, how did you find it?